A MUST SEE!! 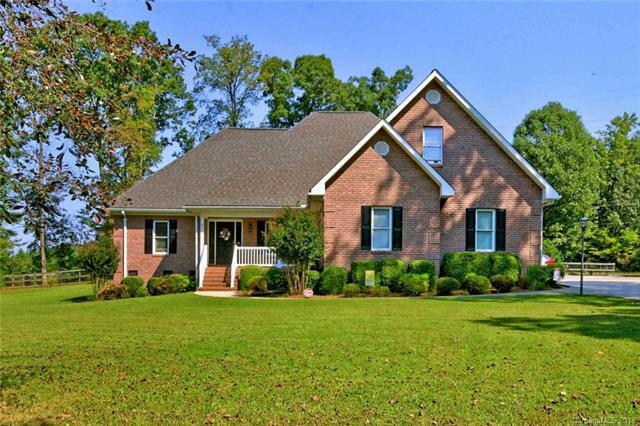 Beautiful 3 bedroom/3.5 bath home with huge bonus room is move-in ready! Great outdoor entertaining with in-ground saltwater pool (new pump, filter and liner), large deck, outdoor 1/2 bath, pool building, etc. Private setting with 2 acres at end of cul-de-sac; also has separate fenced-in area for your furry family. Split floor plan with vaulted ceiling in private master retreat; jetted tub and tile shower with large walk-in closet. Gorgeous wood ceilings and stone fireplace with gas logs. Private office with French doors. Open kitchen and living room. Immaculate home; come see today! Sold by Central Piedmont Properties Inc.